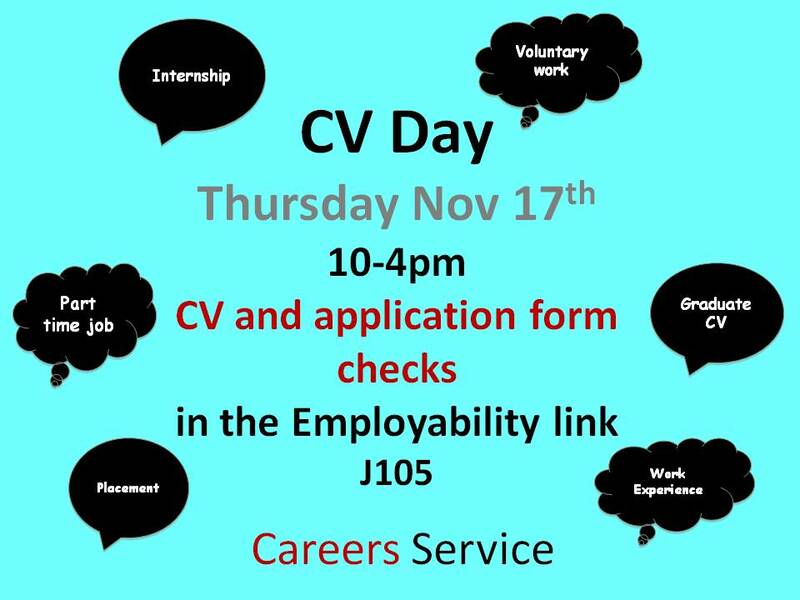 Bring along a printed copy of your CV and get tips and advice on how to improve it! Posted in Miscellaneous and tagged CV, Drop In. Bookmark the permalink.